We often hear about analog and digital in the context of communications, sound recording, cameras, TV, radio and other electronic devices. But what exactly is the difference and is digital better than analog? In this article I hope to shed light on the mystery. How are Analog and Digital Displays Used? 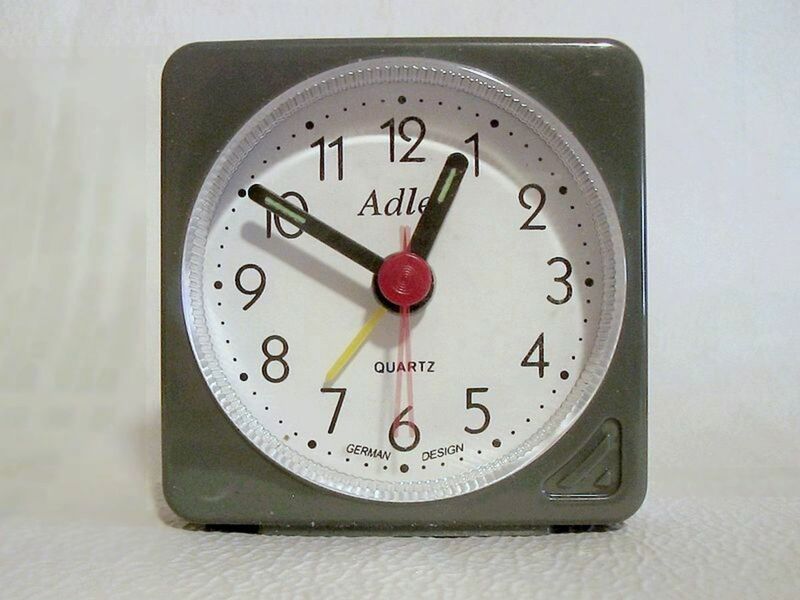 Although it has nothing to do with the real distinction between analog and digital, these terms are often used to refer to the type of displays on clocks, measuring devices and electronic instruments. An analog display usually involves some form of pointer which indicates a value depending on its position or angle on a scale. 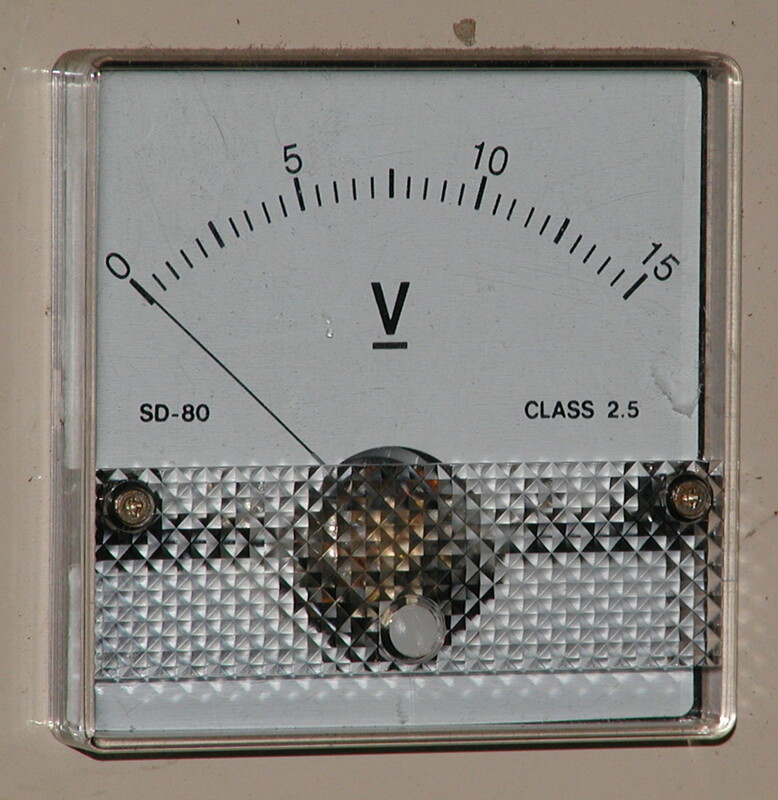 Examples of analog displays are traditional watches and clocks, weighing scales, speedometers and old style moving coil or moving iron voltmeters and ammeters. See the photos below for examples. 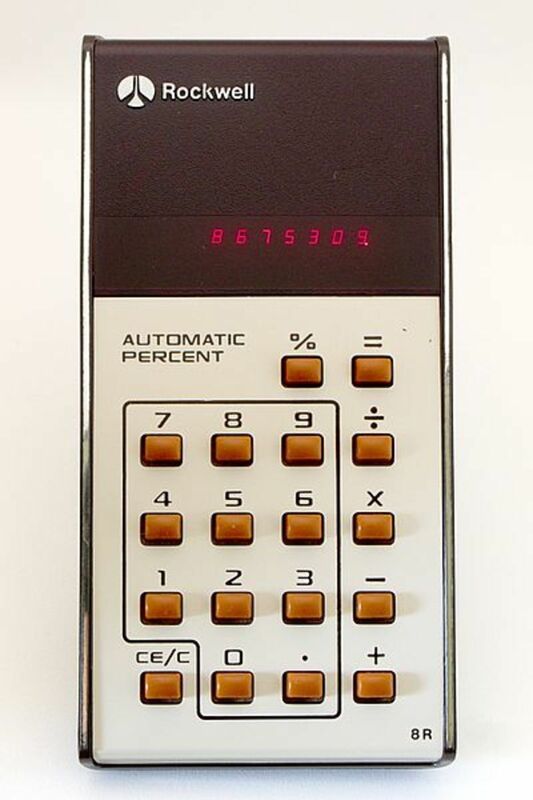 A digital display indicates the value of a parameter directly by actually showing a number. 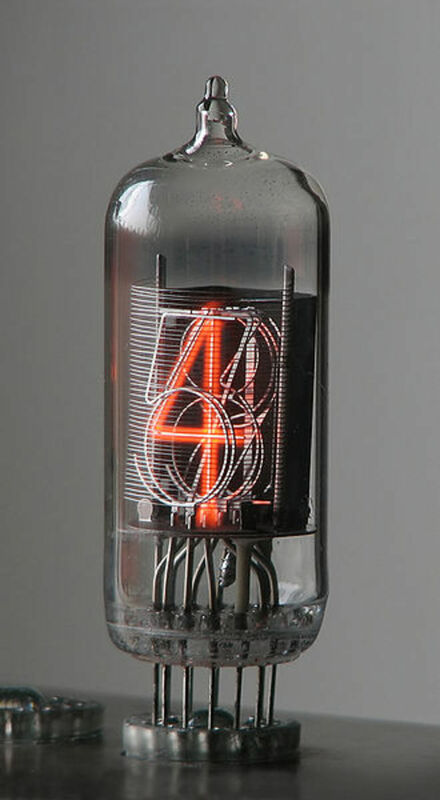 This number can be produced on an LED, LCD or Nixie tube (cold cathode) display. Even the displays on old fashioned electromechanical cash registers could be thought of as digital, but the term is usually reserved for electronic devices. Note the British English spelling of analog is "analogue"
What are Examples of Analog Displays? 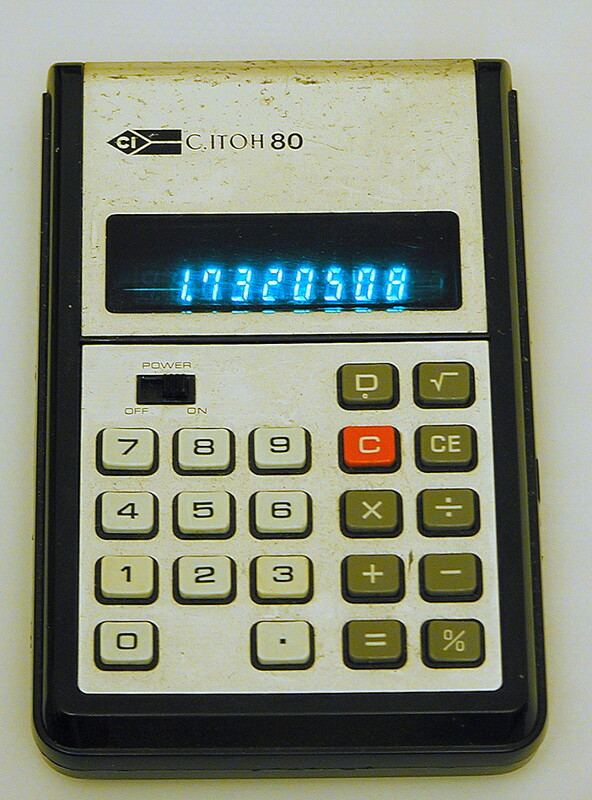 On an analog display, the value is indicated by a line or pointer. What are Examples of Digital Displays? On a digital display, a value is displayed as a series of 1 or more numerical or alphanumerical digits. What are Analog and Digital Signals? 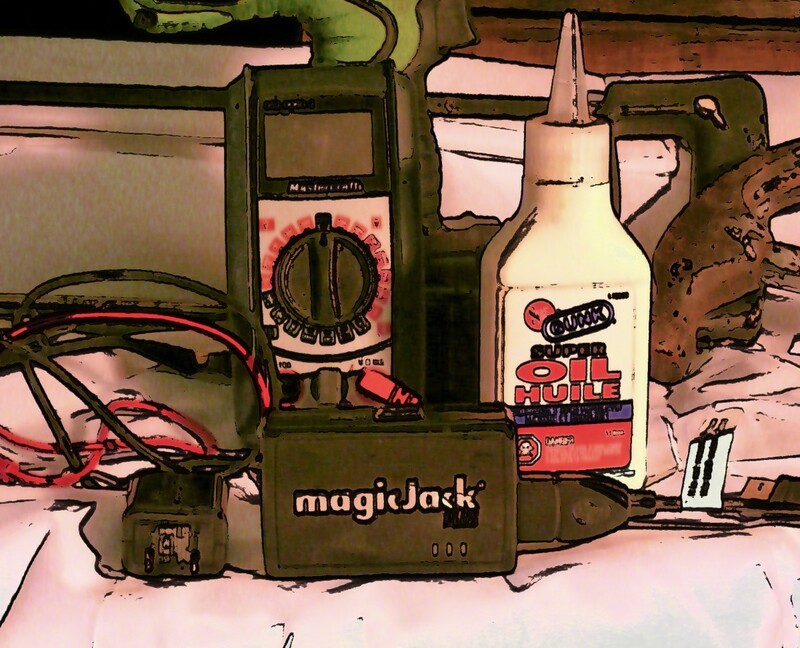 Another distinction between analog and digital is in the field of electronics and signals. 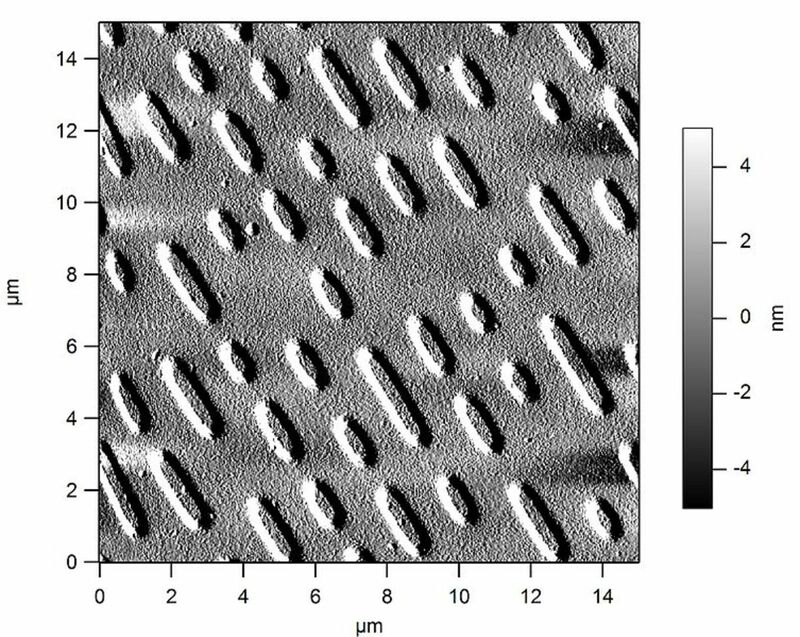 In the real world, many varying parameters can be considered as analog. So for instance the variation of temperature in a room over time is an analog quantity, as is the voltage of a battery as it discharges. The characteristic of an analog parameter or quantity is that its value varies continuously within a range. So the temperature in a room could vary anywhere between 10 and 20 degrees C.
The state of a light switch is either on or off. This is an example of a digital quantity. The switch doesn't exist in an in between state, it is either on or off. Digital technology is fundamentally based on this idea of on and off states of "switches"
The function of a signal is to convey information about the behavior of some phenomenon. An example is the output of a temperature sensor which provides information about the temperature in a room. The fluctuations in light level which travel down fiber optic cables are signals. (signals don't have to be electrical). The information could be a telephone conversation, Internet data or a TV program. The state of the switch in the example above, measured over time can be thought of as a digital signal. How Do Digital Signals Work? A digital signal has two states or levels, high and low. 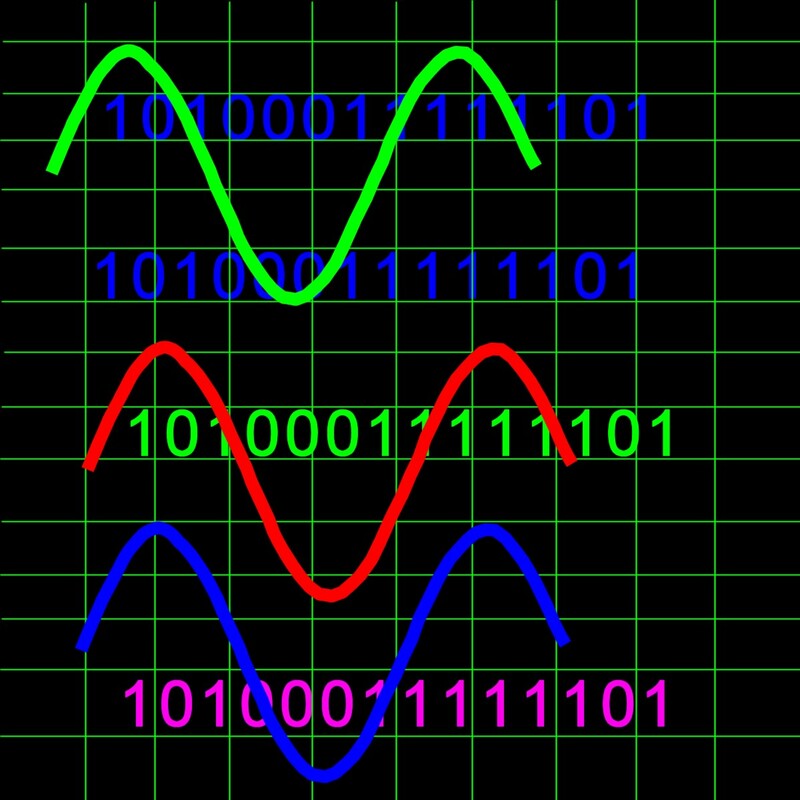 The signals in a digital computer, or instrumentation such as a digital voltmeter are two state. A computer doesn't understand analog signal levels and just works on high and low states, effectively ones and zeros. For a more thorough explanation of this, and an explanation of the binary number system, see my hub Why is Binary Used in Computers? 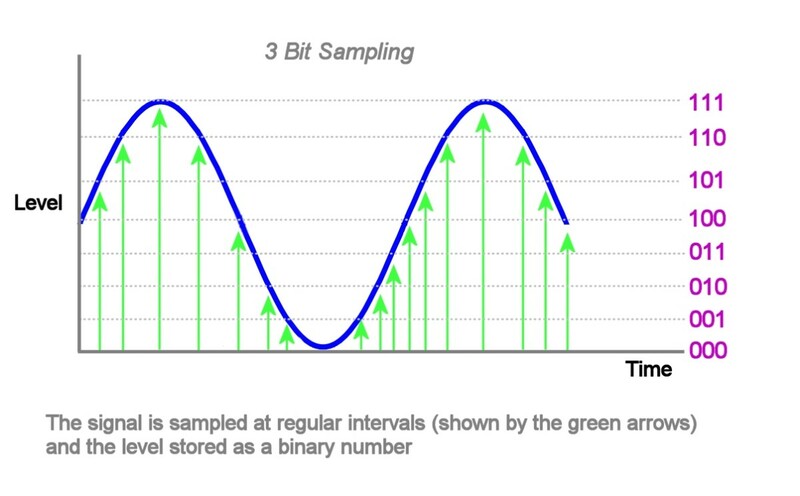 Sampling is a process which converts a real world signal to a digital format which can then be processed by a computer, instrumentation or other digital electronics technology. As digital electronics and computers were developed, applications arose for reading signals from the real world. 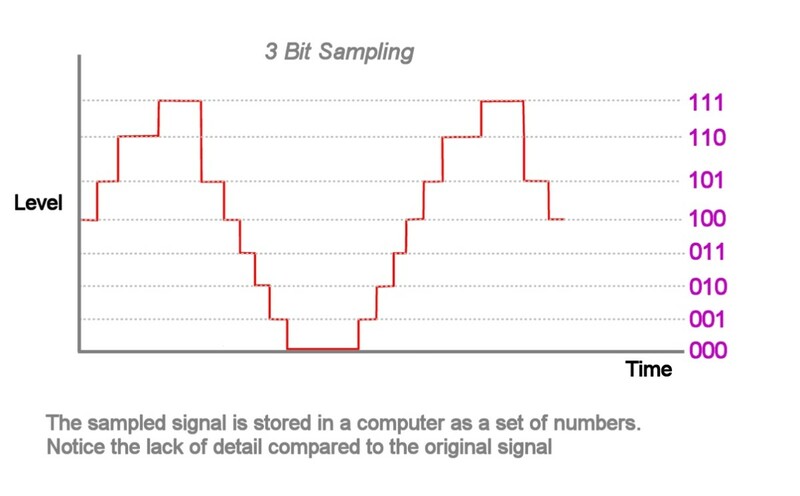 The process to do this is called sampling whereby an analog signal is converted to a binary number understandable by a computer. 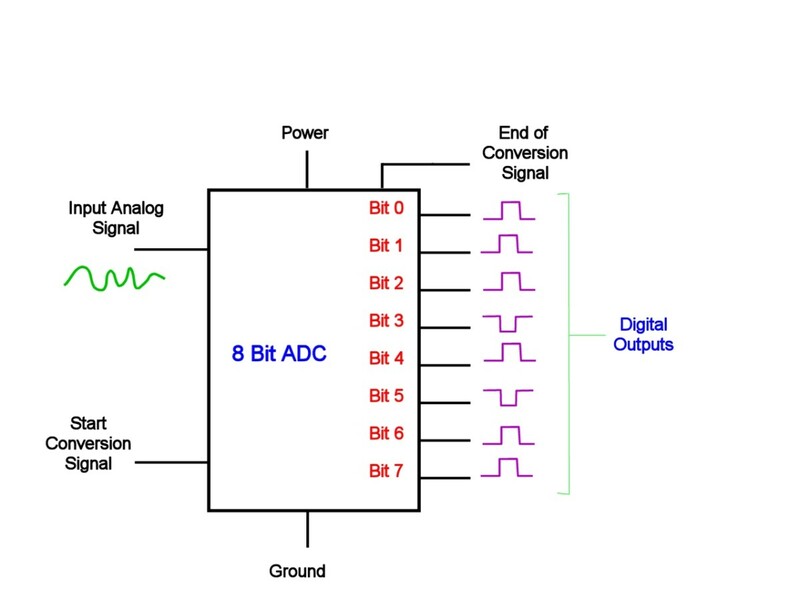 A device which does this is called an analog to digital converter (ADC). An ADC measures the level of the analog signal at regular intervals known as the sampling frequency. 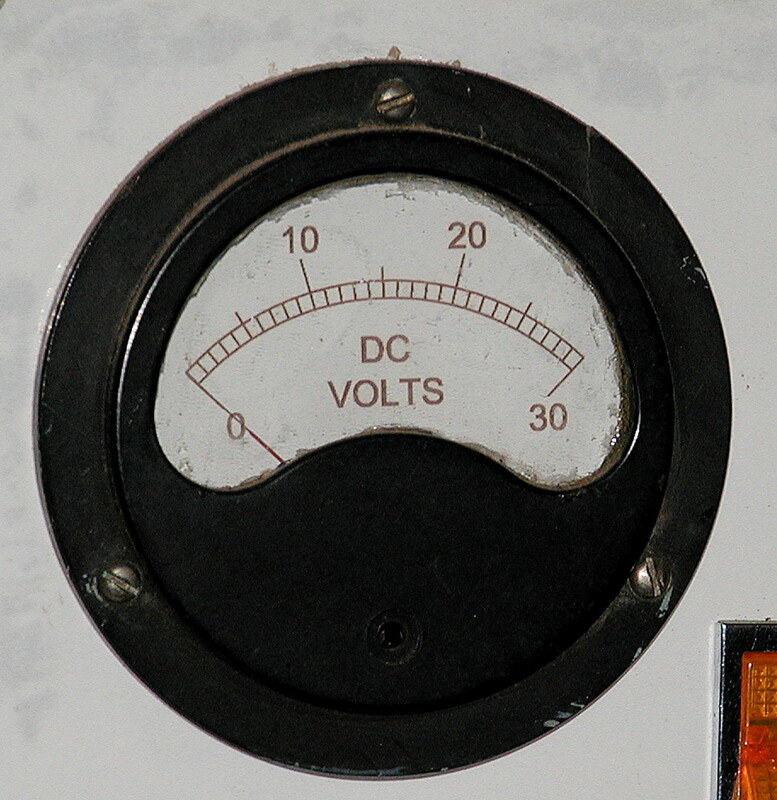 The voltage range over which the ADC works (e.g. 0 to 5V or 0 to 10V) is broken up into equally spaced ranges and a binary number assigned to each of these ranges. Each time the ADC samples the signal, it outputs a binary number representative of the level at the instant of sampling. These numbers can then be stored, used to drive a display, transmitted along a communication line etc. For a 3 bit converter (see diagram below), there are 23 = 8 possible binary numbers. In reality, ADC converters have 6, 12, 16 or even 24 bit resolution. 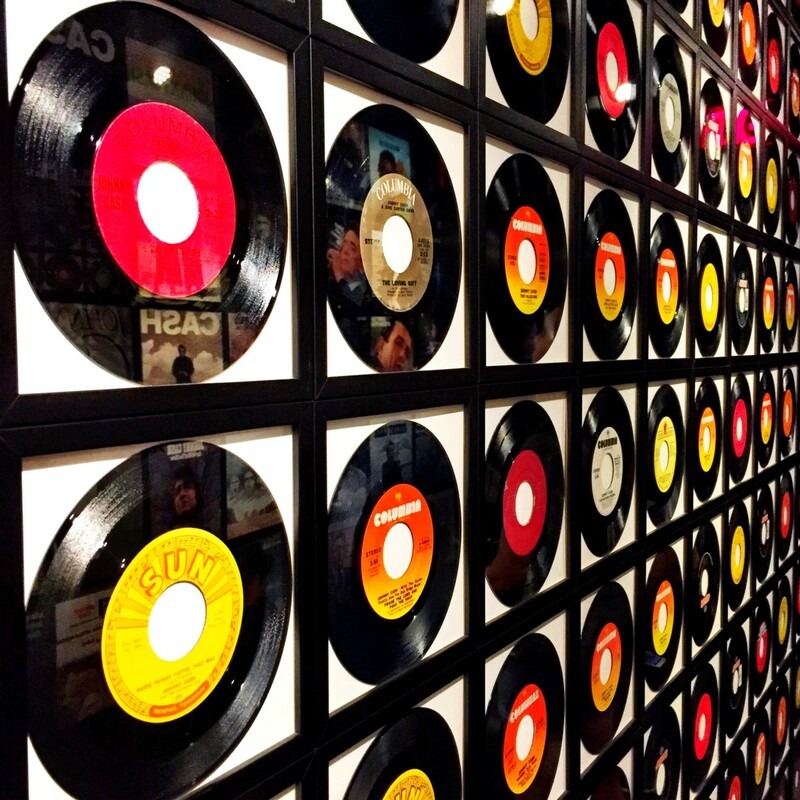 (16 bit at 44kHz sampling rate is used for CD recordings). Obviously this means that there are lots more levels and the converter can resolve more detail in the signal. As I mentioned before, A to D converters typically have resolutions of 6 to 16 bits, although 24 bit converters are available. The number of levels which a converter can resolve is equal to 2n , where n is the number of bits of the converter. So for a 6 bit converter there are 64 levels and for a 16 bit converter, there are 216 = 65,536 levels. A converter has an input range over which it works, e.g. 0 to 5 volts, and it is this range which is split up into equal ranges. So to get the most amount of "detail" out of a signal, the signal should span as much of this range as possible. The maths behind this theorem is a bit complicated, but basically it says that the sampling rate of a signal must be at least twice the highest frequency content of the signal. This is intuitively correct so for instance the slowly changing signal from a temperature sensor in a room would need to be sampled much less frequently than an audio signal from a microphone or video signal from a camera in order to preserve the rapid changes in the signal. What are the Advantages of Digital Data? Once a signal is sampled and the data is converted to a series of numbers in memory, lots of things can be done with it. What are the Disadvantages of Digital Data? A decoding device is required Data which is stored on media is usually compressed, encoded and formatted in some way. Equipment to read and decode the archived data may not be available in the future. For instance if you have any 5 1/4 inch floppy disks with data on them, do you still have a computer which can read these disks? Yet it is even possible to read the information from books written hundreds of years ago and view the illustrations, or view photographs from the mid nineteenth century. It would also be relatively easy to build a machine which could play early wax cylinder phonographic recordings. This is obviously an issue for archivists of important information. 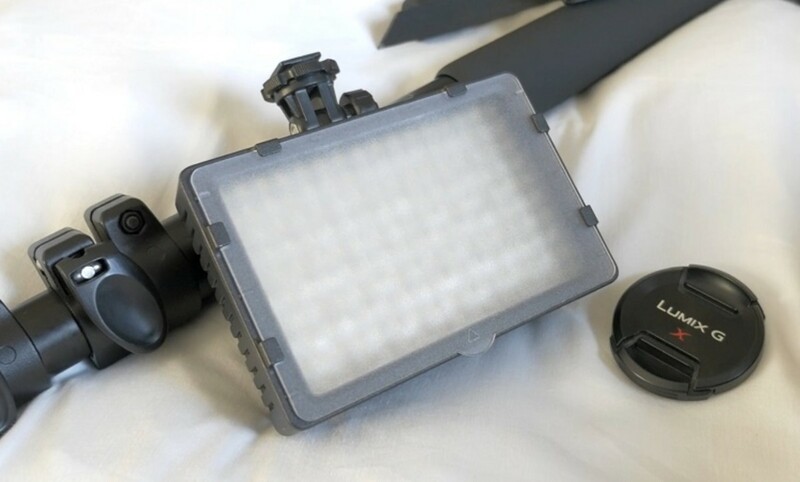 What are TTL and CMOS? TTL (Transistor Transistor Logic) and CMOS (Complimentary Metal Oxide Silicon) are two technologies used to implement switches in the integrated circuits of digital electronic devices. CMOS has the advantage that it is low power which of course is important for battery powered devices. Digital ICs have input and output pins, and the voltages on these pins are within designed tolerance bands. 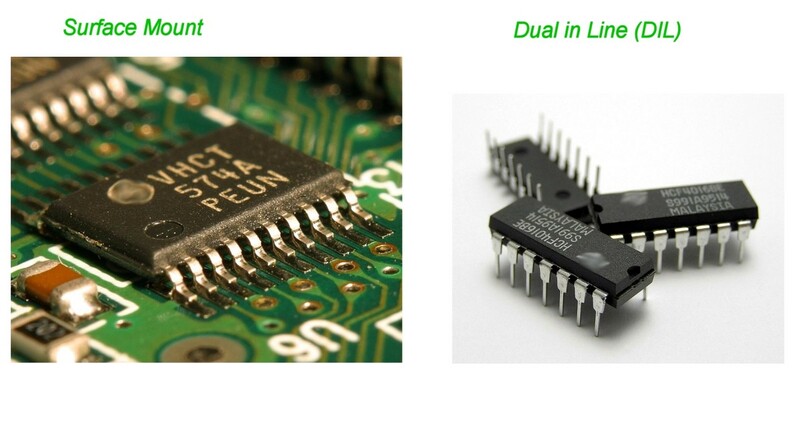 For instance if a high output of a TTL chip is connected to the input of another TTL chip, the output voltage must be between 2.7 and 5 volts . 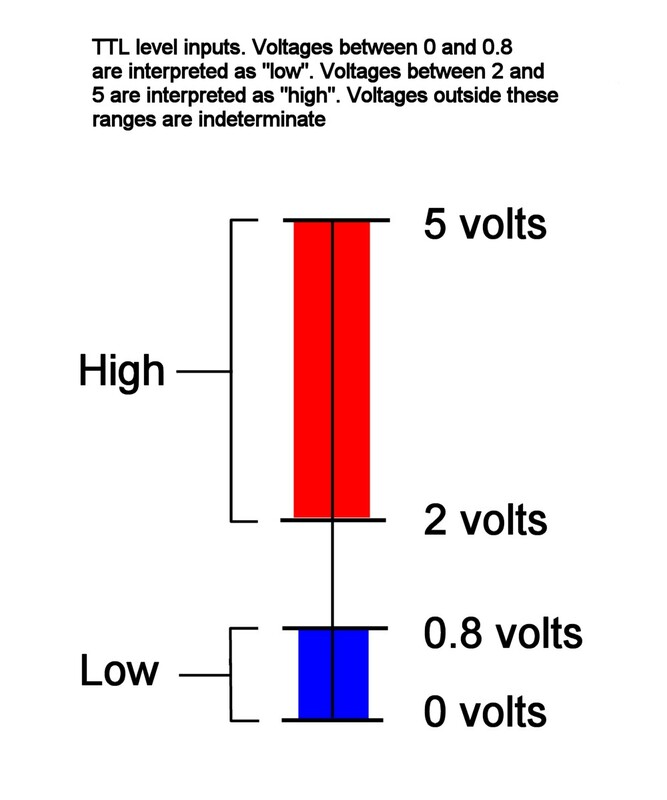 Inputs between 2 and 5 volts are interpreted as high. Similarly a low output must be between 0 and 0.5 volts, even though anything between 0 and 0.8 is interpreted as low. This means that up to 0.3 volts of noise can be added to a signal without it being misinterpreted. Thanks Ron! Hopefully it should shed some light on the mystery. Often words like "analog", "digital", "RAM", "JPEG" etc are used as buzz words but without any understanding of what they mean. As a former electrical engineer, the info you cover in this hub was once my everyday bread and butter. Congrats on a good overview. Thanks, glad you liked it and it made sense! As with any of these types of topics, in reality, things can get quite complex because of all the communication protocols, storage formats etc which are involved. 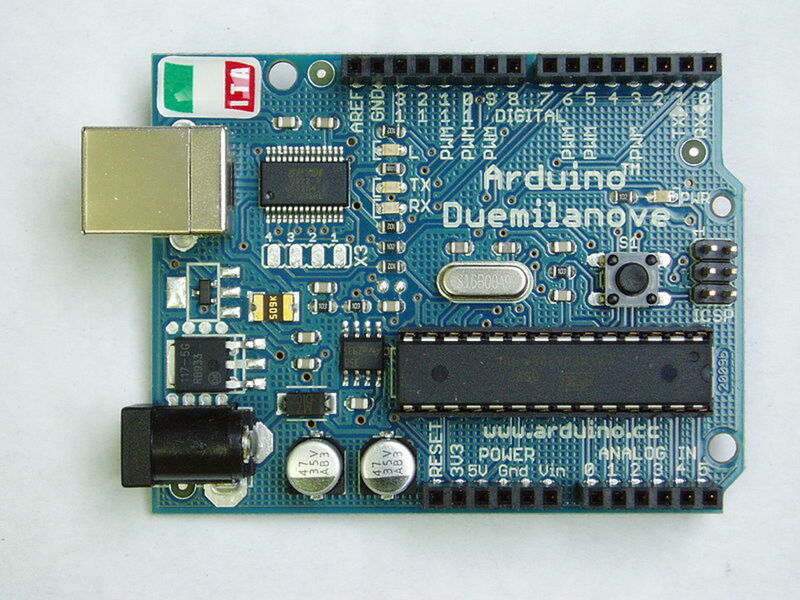 The basic concept of analog and digital however is quite simple. Very comprehensive explanation! You are a real expert in this topic and you have explained the differences so well. I think many people will find this article useful, especially students. Enjoyed and voted up! 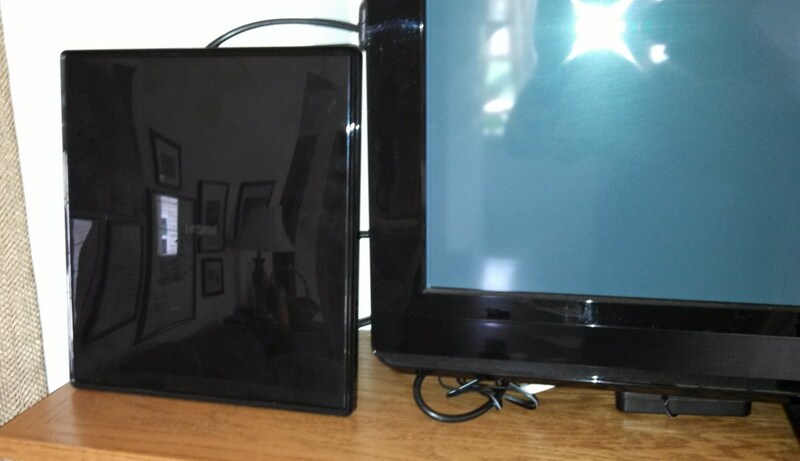 I'll add more info to this hub later, but probably deal with bluetooth, comms and wi-fi in a separate article. A very nice and informative hub. 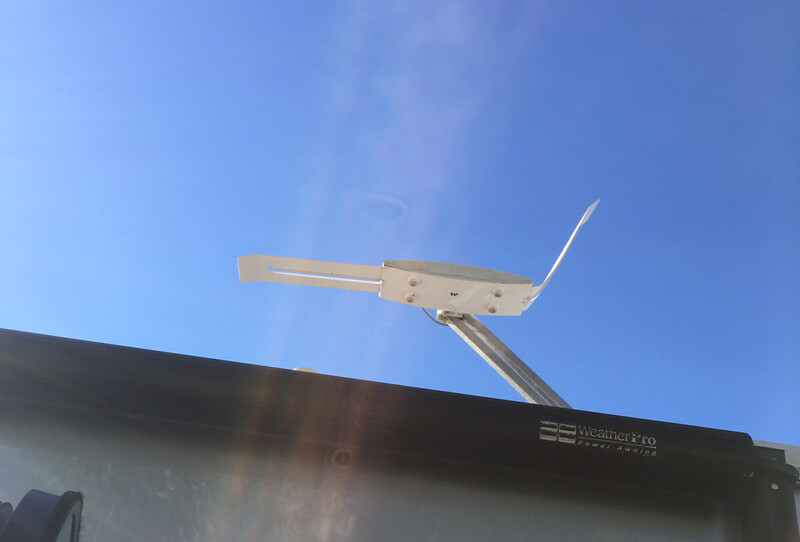 Consider detailing the digital data transmission over wireless networks like wi-fi and bluetooth. The emerging trends, versions and technologies too.